Visiting the city of Granada with children can be magical for everyone. But there are a few things worth knowing before you arrive. Walking steep hills, bumpy cobbled streets and the hot sun can be quite overwhelming if you don´t plan ahead. 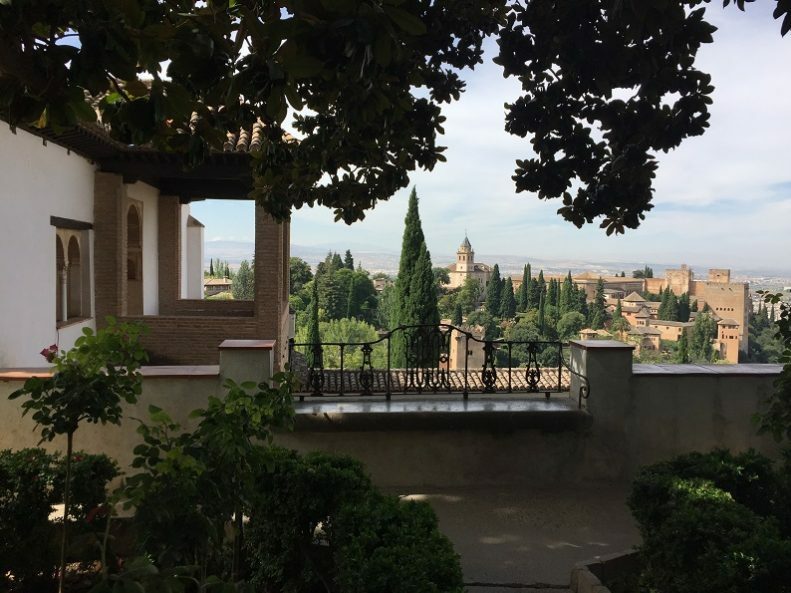 Here are my insider tips so that you have a fabulous family break in the city of the Alhambra. So be prepared to take plenty of suncream, water bottles, hats etc in Summertime and plan your day at a steady pace as the heat tends to slow pace. In Spring and Autumn months around the Alhambra the temperature will be cooler than in the city below. So take layers. In Wintertime the midday sun will be warm, from 12 noon until 4pm it will be mild, but as the sun dips, the temperature can fall quickly. You will all need good walking shoes as Granada is cobbled in many areas of the city. Some of the streets in Realejo and Albaicin are stepped. There are smooth marble floors too so always good to wear shoes with grips and good tread. Spain is a great place to travel as a family, children are made very welcome. Special kids menus are offered to children at many bars and restaurants too. Some tickets prices are reduced for children or even free, depending on the ages of the children and the activity. Everyone who visits Granada, whatever their age, is fascinated by the Alhambra Palace. 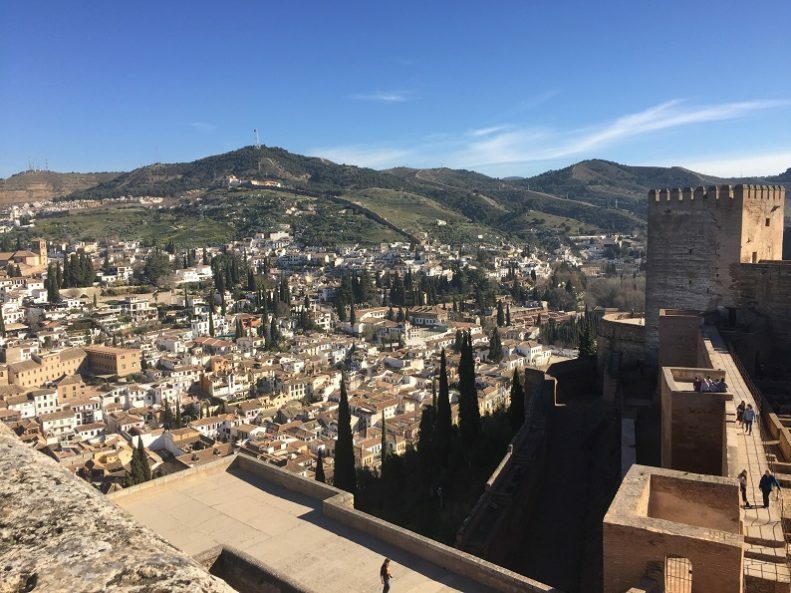 Children will enjoy the visit as they romp around the Generalife Gardens, admire the views from the top of the Torre de la Vela or gaze as the starred shaped ceilings in the palaces. 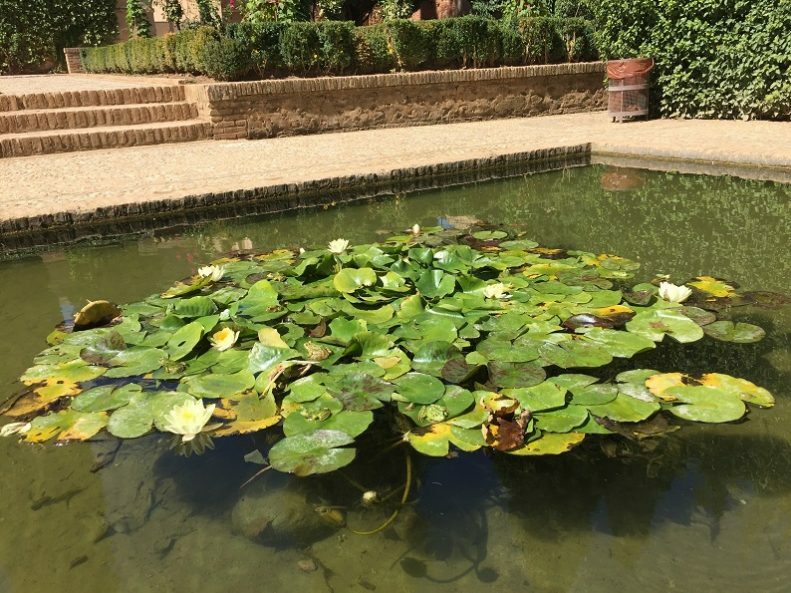 Animal lovers will notice the cats of the Alhambra and other wildlife such as frogs, birds or fish dotted around the gardens and walkways. Bound to be a hit with the little ones too. Getting tickets for the Alhambra can be tiresome as they are in extremely high demand. There is a limitation of people allowed in the Nasrid palaces at one time so tickets have an entry time. This makes the whole system difficult to manage and this is basically why its hard to get tickets. If you are lucky enough to be reading this article in plenty of time. Look online at the official Patronato de la Alhambra website and book your tickets online. You need to check between 45-70 days ahead of your visit. This way is the cheapest way to visit. Tickets cost around 14 euros for the general visit for an adult. Children under 12 visit for free but you must book a ticket for them on the website. If you are in a guided tour you may have to pay full price for a child depending on the tour company. Babies which are under 12 months do not require a ticket but you need to tell the people on the gate when you are going into Nasrid palaces so that they give you a certain pass. If you are closer to your trip and tickets appear to be sold out do not dispair. There are several alternatives to getting the tickets as I explain here: Buy Skip the Queue tickets online. You can choose to do the Nighttime tour. This tour does allow you to visit the Nasrid palaces and the main parts of the palace. As the route is shorter this is much more manageable especially in summertime or for families who dont want to walk around the entire complex. Buy the online ticket which says VISITA NOCTURNA. Another option is to book a guided tour. 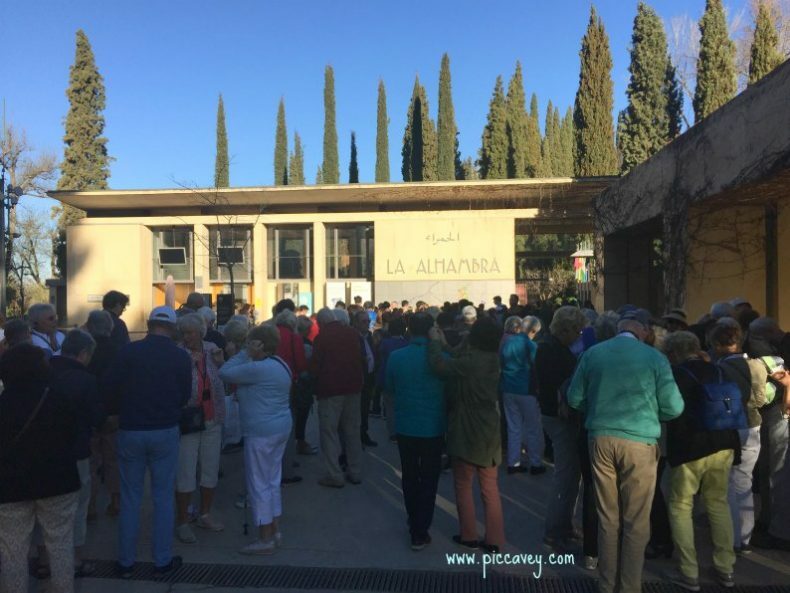 This Skip the Line tour below is a fuss free option which offers the whole of the Alhambra general visit with a guided tour included. You will see the Generalife Gardens, Nasrid Palaces (including Lions Courtyard) & the oldest part of the fortress La Alcazaba. Skip the Line Alhambra Tickets . Go for free. 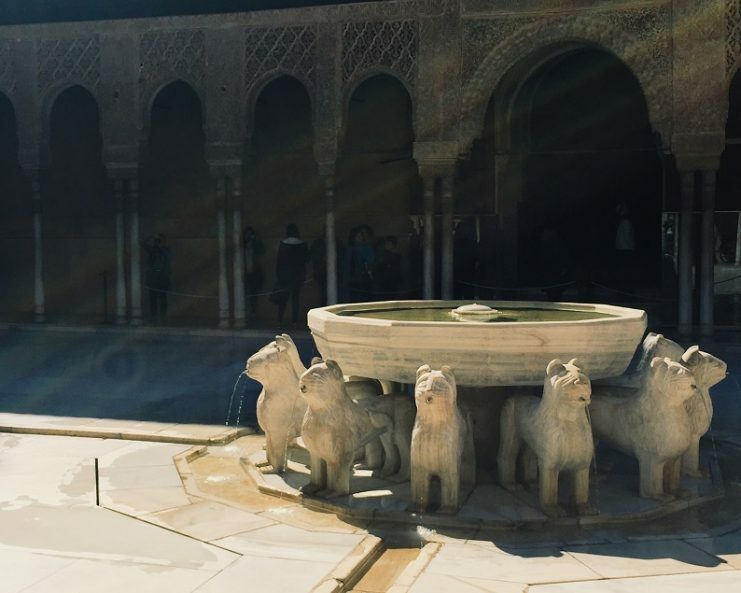 You can some of the areas of the Alhambra without buying a ticket. 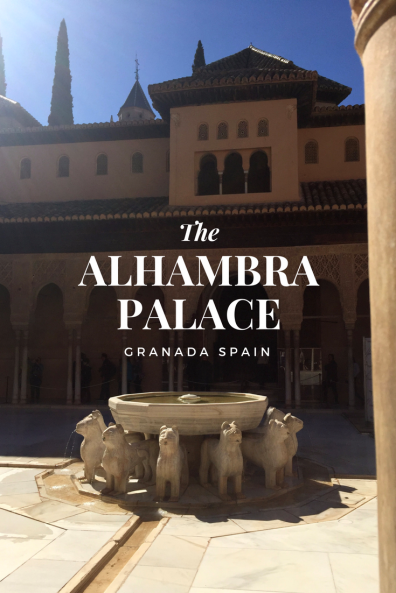 The Palacio de Carlos V is the Museum of the Alhambra and is free to go in. This may not be a hit with younger children. 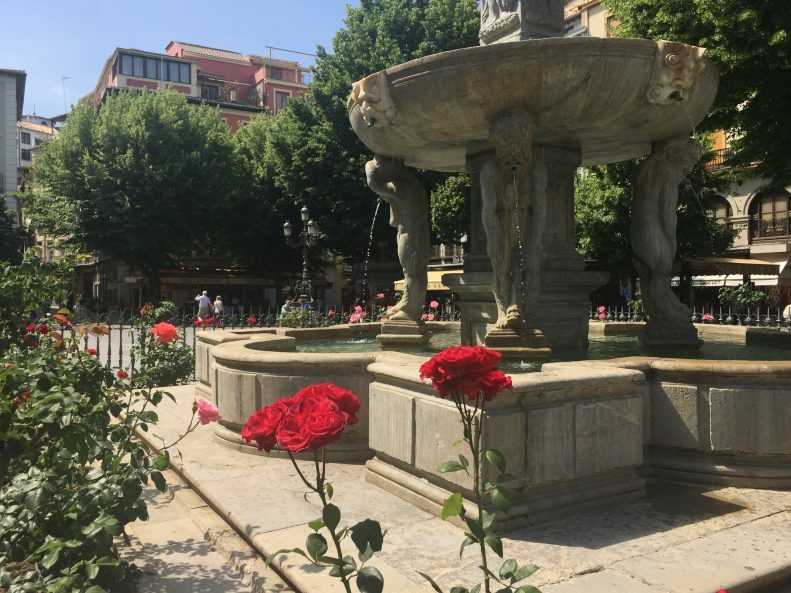 People who live in Granada (and are registered on the Padron) can request free tickets on certain Sundays throughout the year. Ask for details at the office inside Corral de Carbon. The Alhambra complex is a palatial city which covers a large surface area. It is impossible to visit the whole site in one day. The main areas to see are covered on all guided tours and also by the audio guide. Please note that you cannot take a pushchair or stroller inside the Nasrid Palace. This must be left at the control point close to the Wine Gate (opposite Carlos V palace) Some baby backpacks are available on request. Also large rucksacks or backpacks are not a good idea. They ask you to wear them in front which is uncomfortable as you move around. Some of the doors and corridors are narrow so the more compact you are moving around the space the better. Keep your tickets to hand at all times. They ask for them sometimes along the way. It´s easy to misplace them but they will be needed. Here are the sights you make like to cover on your visit. Alcazaba & Charles V Palace. This area is the centre of the monument. Here are the toilets and general services. Calle Real & Church of Santa Maria de la Alhambra. The street that goes from Charles V Palace up to the Parador and onto Generalife. Alhambra Woods. 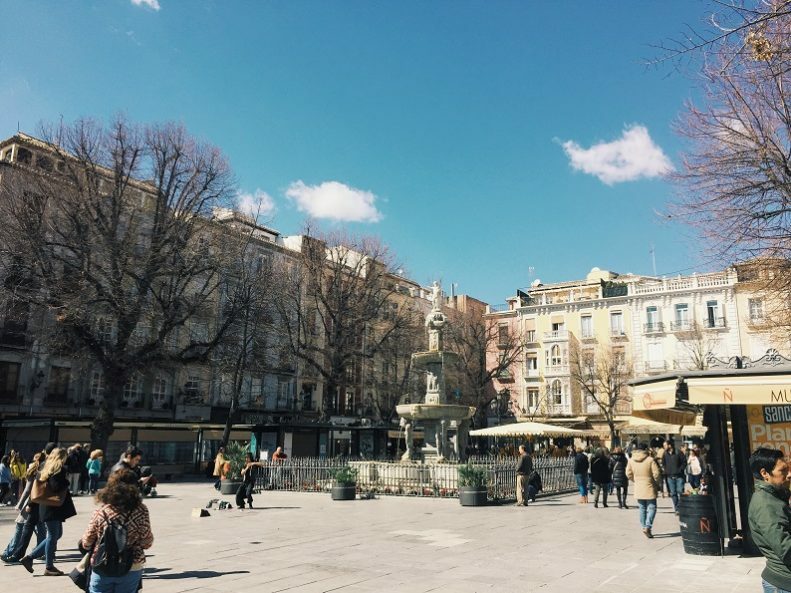 This area is the entrance which leads up from Plaza Nueva to the Justice Gate. From city centre take a taxi up the hill or catch the C3 little red bus from Isabel La Catolica on Calle Paveneras. Public transport in Granada with children can be better than by car as many roads are very narrow or one way streets. 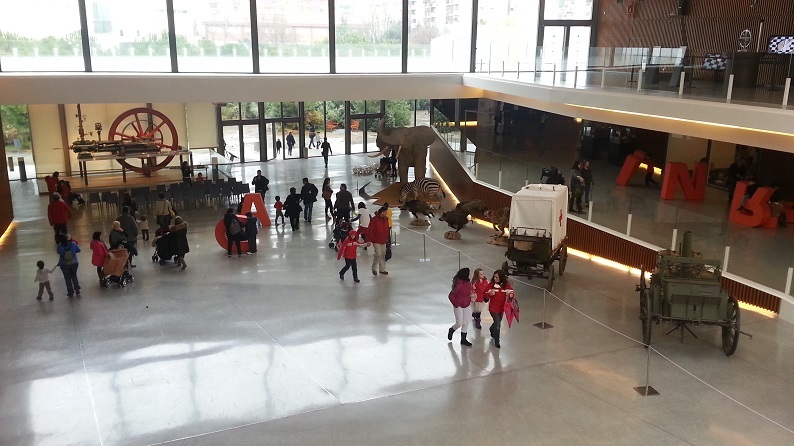 This Science Museum is one of the best in Spain and will have both children and adults enthralled. Plan to be there at least 3 hours. Its a button pressing hands on experience. With 70 000 m² of musuem to explore this is a great place to be when it is very hot. Stay cool in the air conditioned or dry on a rainy day (which never happens) in Granada. At the moment they have a temporary exhibition called BioDomo with animals such as geckos, lemurs and toucans. The good thing about this museum as they are always changing the installations. Another new one is one about Robots which is on at the moment. Get this little bus around the city to see the main sights. It´s a route from Alhambra to Albaicin and gets you up those steep hills. Buy your ticket from the driver as you get on. It´s 1.40 euros. Children under 5 years old get on for free. The most popular stops are the Alhambra main entrance and the stop close to Mirador de San Nicolas. Younger children may enjoy the Tourist Train. This stops around the main sights of the city. Albaicin, Alhambra, Realejo and Main Commercial streets. A large garden or public parks with viewpoints over Granada. This space has a small lake with ducks and plants surrounding it. It also has a little bridge and folly. 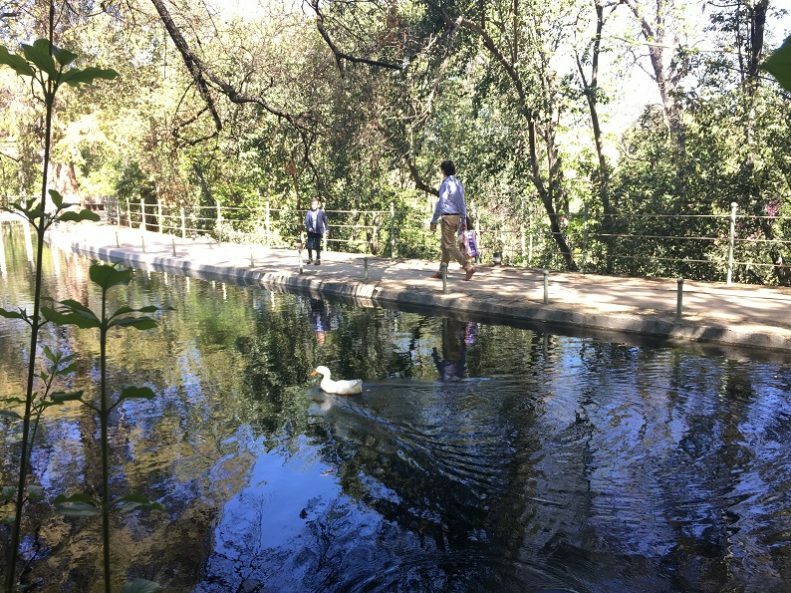 This oasis in the Alhambra woods has peacocks and plenty of space for the little ones to let off steam. The bus C3 from city centre actually has a stop at the entrance of this park. 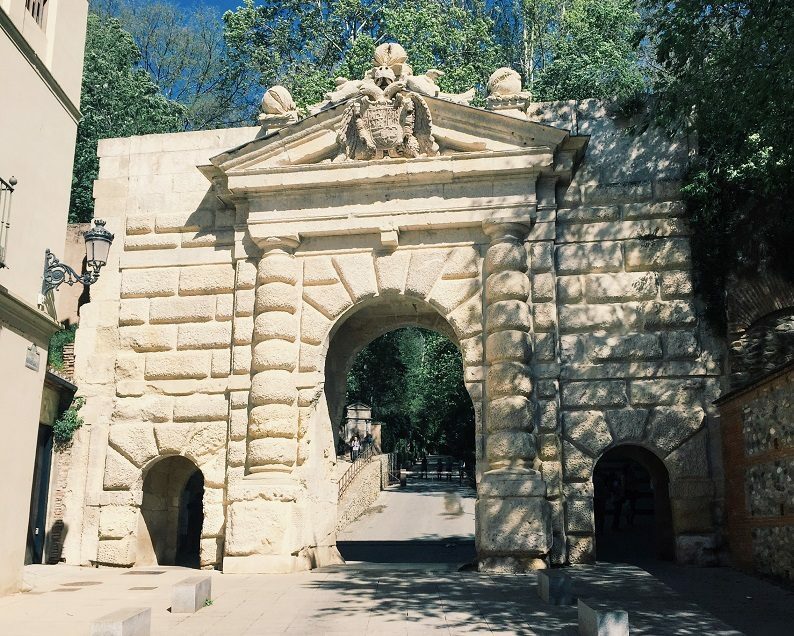 (opposite Hotel Alhambra Palace) it is also walking distance from the Alhambra palace main entrance through the woods. 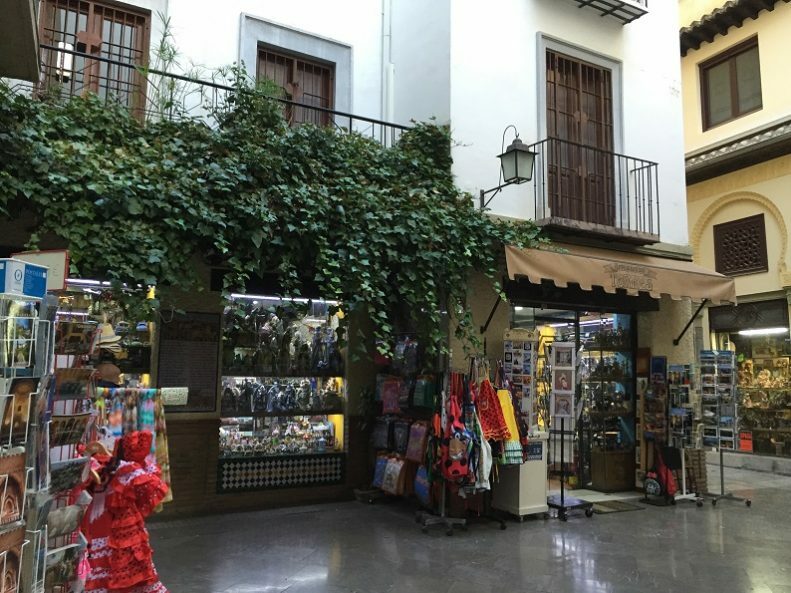 Wandering around the Albaicin is one of the most typical activities when visiting Granada with children it may get tiring. Why not stop off at Plaza Larga in Casa Pasteles. This traditional café serves hot and cold drinks, delicious cakes and ice cream. You dont have to go far out of the city to enjoy the countryside. 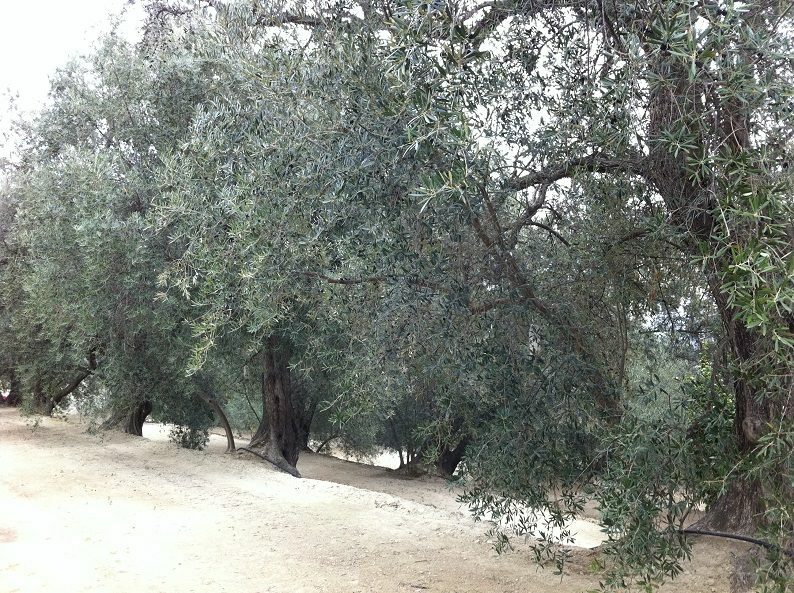 Enjoy views of olive groves and the woods around the Alhambra grounds. Head to the Sierra Nevada N.P to see the mountain trails in the park. Drive to Pradollano for tourist information. Or see the Cetursa website. Also head to Guejar Sierra a charming village at the foothills of the Sierra Nevada with some lovely typical restaurants and an authentic atmosphere. Visiting the province of Granada with children has some great opportunities. Sleep in a cave house, visit one of the villages in the parks in the region. Visiting the Sacromonte district, such a curious place. A street which looks across to the Alhambra palace. Lined with cave hourses and prickly pear cactuses this is a unique neighbourhood. 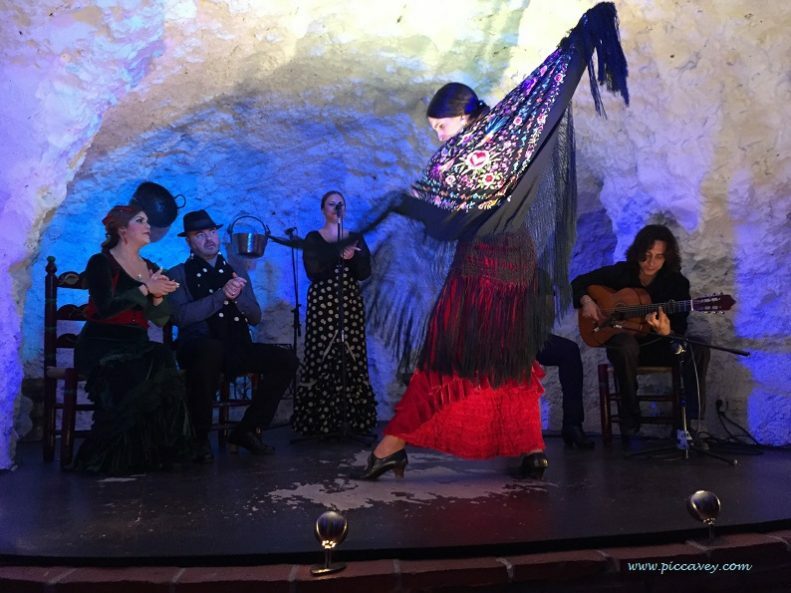 Considered to be the birthplace of Flamenco, why not enjoy dinner in this location and a Flamenco show in one of the most tradition settings? At nighttime Granada with children is fun as the local families are out til late. Suitable for children too as they have childrens tickets and dinner options. 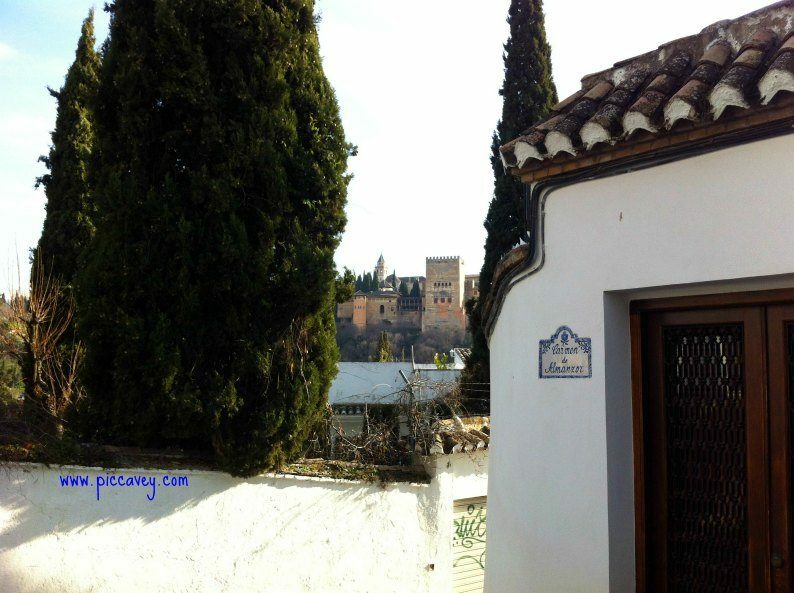 The Jardines de Zoraya are in the Albaicin district which is easier to get to than the Sacromonte and equally charming. Also Flamenco in Granada with children here is quiet simple as they have lots of space outside too. Thanks, that’s a really comprehensive guide – probably the best I’ve seen. A visit there is definitely on my list! Thanks Steve, I´m sure there will be something I can add, I tend to update my posts every 8 months or so..
As many times as I’ve been to Spain, I have yet to make it to Granada and see all these wonderful places! Thanks for sharing tips and advices – will be bookmarking! What a gorgeous place. I would love to have you by my tour guide thorugh Alhambra or Spain period for that matter. I am thinking to planning a visit with my wife for 7 days, can you please advise, if Halal food is easily available? are there any travel firms deal with all inclusive packages? Thats great that you are planning to visit. There are no all inclusive packages but you will not find too many issues. Hi! We’ll be visiting Granada with 2 children at the end of August and was wondering what your opinion is on a 5pm visit to the Nasrid Palace. Our other option is morning by buying the Granada card.